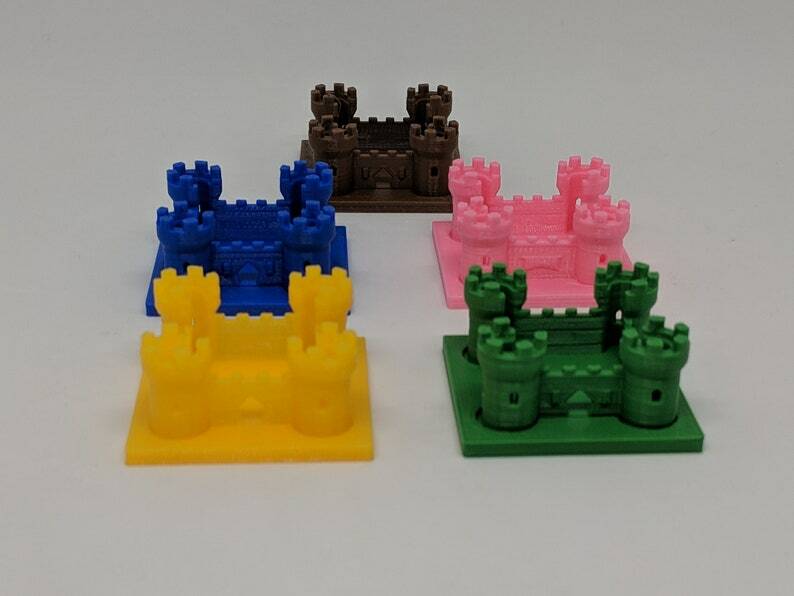 Kingdomino/Queendomino Castle Upgrades to replace the cardboard pieces that come with the game. 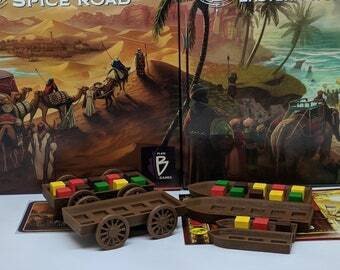 - These are designed in two pieces to fit inside the existing game insert without need of modification. Two Meeples fit inside the castle for clean storage. - The bases have an impression for the castles to sit into so they don't slide off while playing the game. - Added a 5 player set for those that have the expansion! This is a design I modified to better fit storage solutions. Attribution to the original design below. Just what I needed to add some flash to Queendomino. Thank you! As soon as it arrived we played a few rounds. It looks way better than the default cardboard castles. They have fitted bases that come with them so they don't slide off the base while playing, and they fit in the box just right!